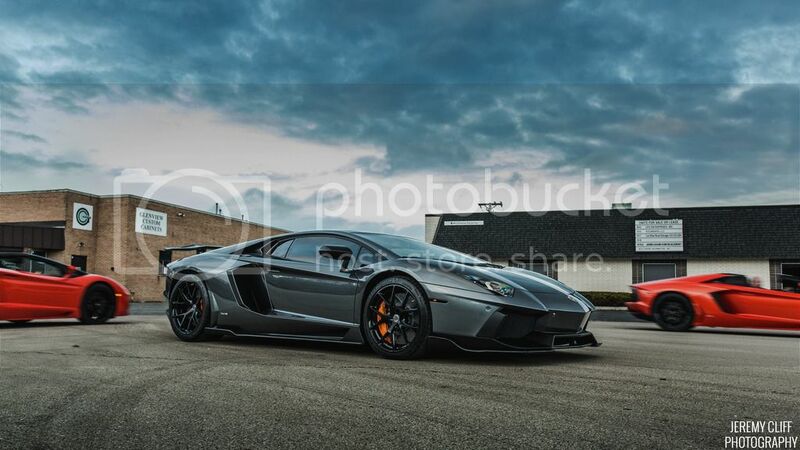 Have you ever had the opportunity to shoot your dream car but didn’t have a nice background for it? All you had was a parking lot, or some trees behind the car. Those shots are okay sometimes but if you want to take your car photography to the next level, you need to have a really nice background to go along with the car. The problem is that most times we don’t have a really nice background, but don’t worry, this is where the almighty Photoshop comes in handy. When choosing the right background, it’s important to keep in mind the perspective of the car image. If you shot the car from above, obviously a background showing the city from down low will look stupid. This is probably the hardest part. It is VERY helpful to have a background ready BEFORE you go shoot the car because then you know exactly at what angle you need to shoot to make it match the background. 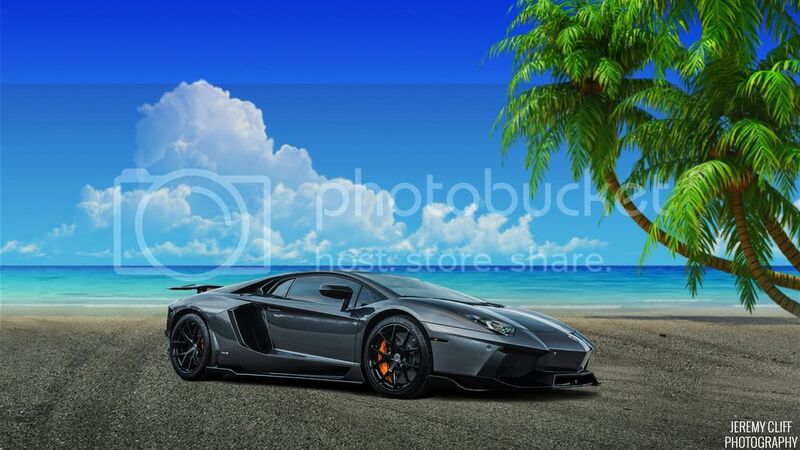 For the sake of this tutorial, I am using this shot of a Lamborghini from Jeremy Cliff and the background will be changed to a beach setting. Now, before you say anything, I know the perspective on this isn’t spot on but I didn’t have the pleasure of shooting this car, so finding the right background is hard (that’s why I recommend having the background ready before the shoot). 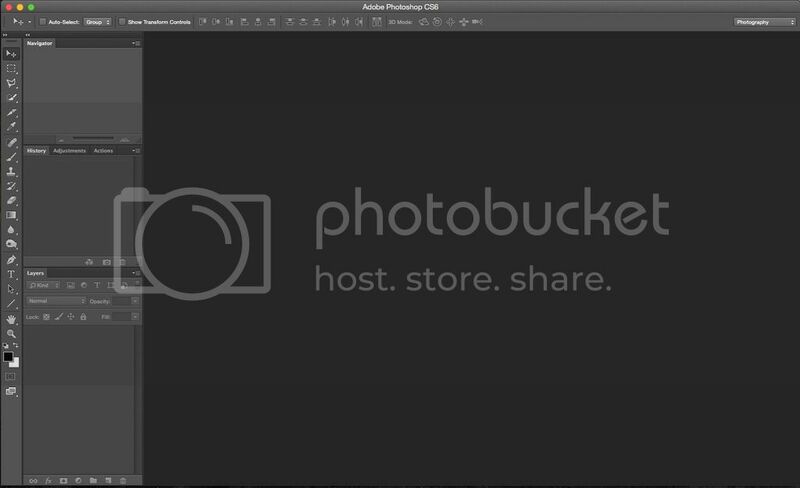 The first thing you gotta do is open up both the car image and the background image on separate layers but on the same file. 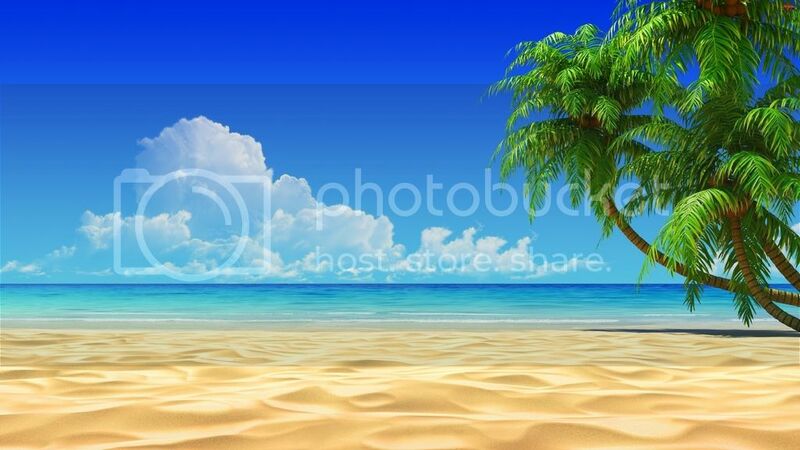 Make sure the car image is above the background image. Now, the point is to select the car any way you can. You can use the Pen Tool, Lasso Tool, or the Quick Selection Tool. It’s really up to you on how you select the car, as long as you select it! 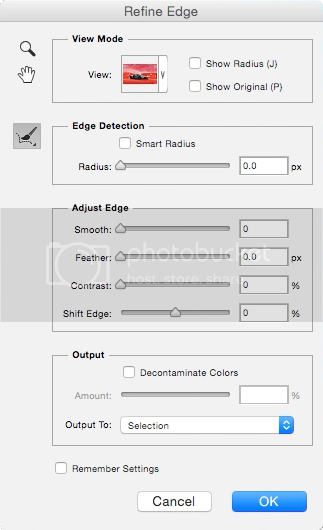 The way I did this specific selection is by using the Quick Selection Tool and then used the Refine Edge to… refine my edge. The QST is designed to let you select stuff real quick by simply brushing over it and letting Photoshop choose the edges by looking at the different colors. It doesn’t do the best job of distinguishing between colors but it’s still a good start. Here is where you can make your selection a little more solid so that you only select the car and nothing else. Now that we have the edge refined we want to go ahead and choose the Output To: New Layer with Layer Mask because we want the car on its own separate layer but also we want the layer mask so that we can edit it further. Once you have the new layer, make sure it’s above the background image and the original car image is hidden (we no longer need it). If you see some haloing around the car, you can use the Burn Tool (Keep the Range on Shadows and Opacity at about 40-50%). You will most likely want to blur the background a bit if it’s not blurred already but most landscape images will not be blurred and will look out of place once it’s behind the car. You might also have to do some color correction on either the car or the background image so that they match. If you have a yellow tint on your background and your car has a blue tint to it then it won’t make sense and will probably look weird. Wasn’t that easy? Tell me below what you thought of this tutorial. Was it easy to follow? Or is it missing something? The only way that these tutorials will improve is if you tell me that they’re not good, and trust me I can take the criticism.